To Eve -- Thanks for sharing your life with me! 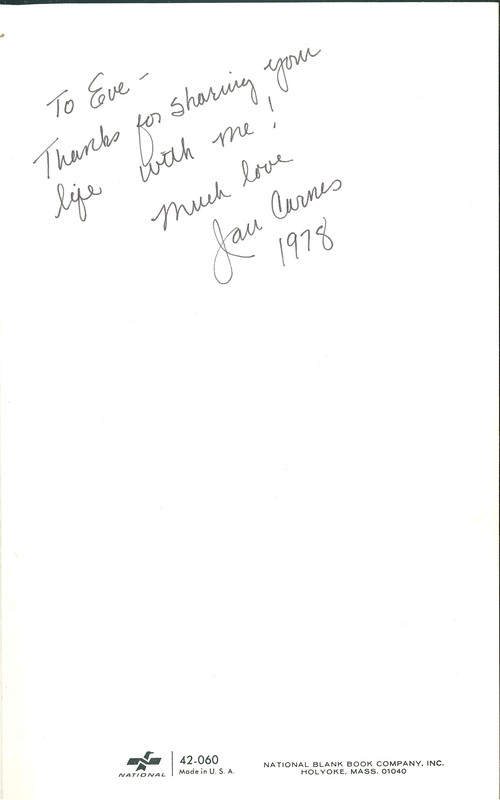 Much love, Jan Carnes. 1978.